Caspar was also adorably excited by the revelation. He also replied to the tweet at 8am so it must have been a nice treat to wake up to! Hit The Road was a highly popular road movie starring Joe and Caspar that was released in 2015. The mini-movie was shown on prime time television and even had it's own premiere in London's Leicester Square - the place where blockbuster Hollywood films have their premieres. When the show was shown on TV, it's fair to say that fans lost their sweet minds. Though quite as wildly as they did when it was announced that Joe and Caspar would be hitting the streets of the US of A. What's the coolest place you have watched Hit The Road? Have you been lucky enough to catch a showing of 'Hit The Road' while 40,000 feet up? Let us know in the comments below or on our Facebook page. 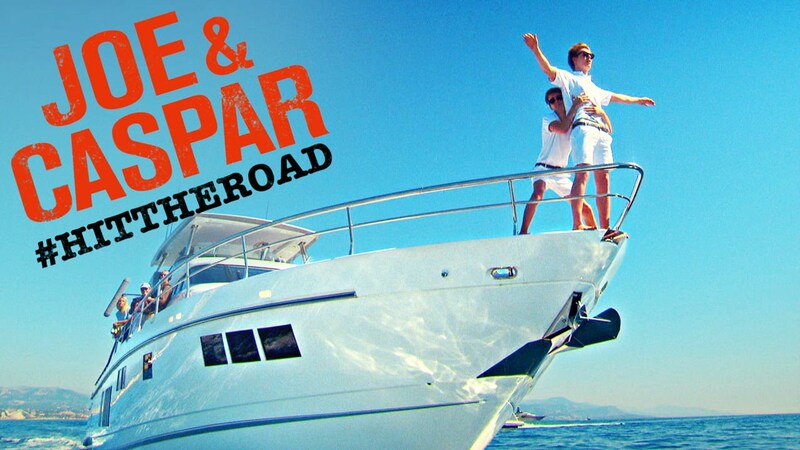 And for more Hit The Road goodness, why not check out '7 Places Joe And Caspar NEED To Go Next' and '10 Reasons Why Joe And Caspar Are Basically Joey And Chandler'.